One of my favorite types of food to eat is comfort food. I am not sure if it’s because I am from the South or if I like how it makes me all happy inside. Lately, since it is cold and flu season, I have started to make soups. 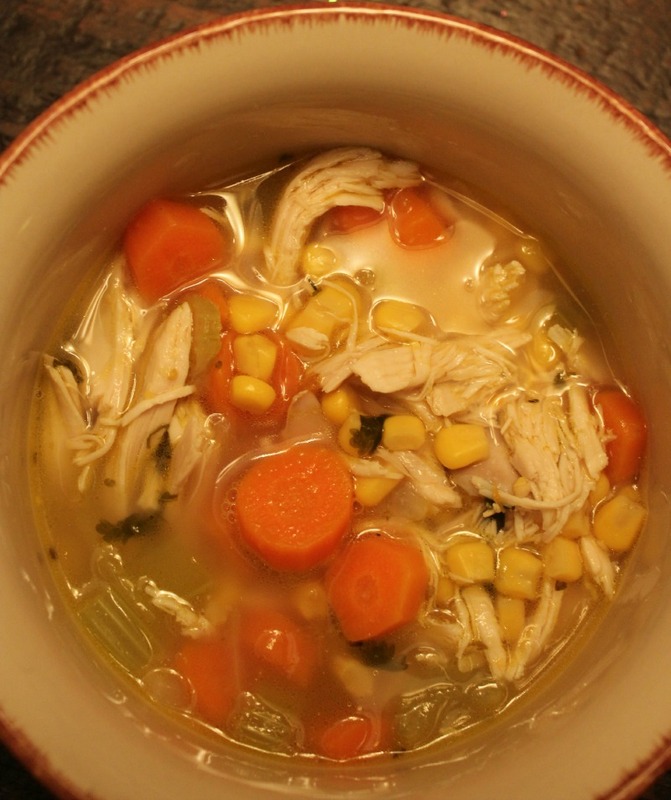 One of my favorite soups to make and serve my family is Chicken Vegetable Soup. This soup tasted so good; so good my pickiest eater asked for more! I love soup, but I really love soup that is loaded with vegetables. The great thing about my Chicken Vegetable Soup is that you can add as many vegetables as you want and it will still taste great. This recipe is simple, however it does take a little bit of time. I purchased a small chicken, bathed it in butter and then coated it with salt, pepper, and cinnamon. I then followed the package directions as far as baking it. After it was completely cooked, I let it cool down and then I shredded it with these amazing Meat Claws. 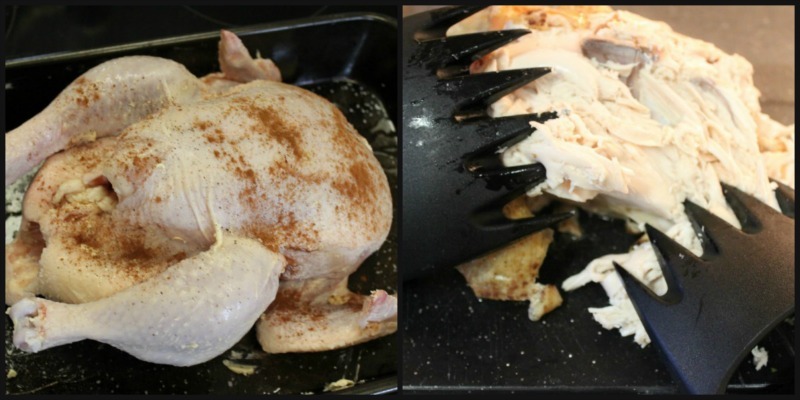 The Meat Claws are an amazing tool that allows you to shred your meat without burning your hands. I recommend this tool for anyone that plans on tearing up some meat. I love to add fresh vegetables to my soup. 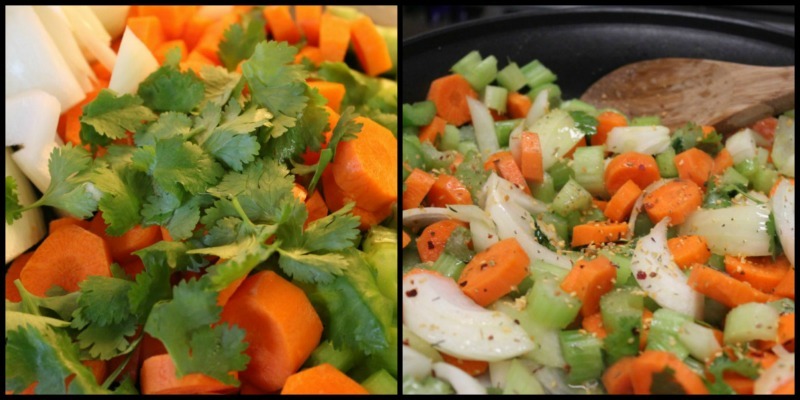 For this recipe I added fresh onions, celery, carrots, and cilantro. Before I add the vegetables to the soup mixture, I had to saute and season them with salt and pepper. Oh, how I love the color and taste of fresh vegetables. As I said above, Chicken Vegetable Soup is a simple recipe but it does take time, but the time spent on it is worth it. This soup is so refreshing and healthy and the great thing about it is that you can add as many vegetables to it as you want. A soup that is filled with chicken and fresh vegetables. Great for the cold months or when you need extra vegetables. Prepare chicken: Clean it, remove the insides, bath it in butter and then season with salt, pepper, and cinnamon or your preferred season. Yum yum! I love a good chicken soup. We roast chickens a lot and sometimes we don’t want to make chicken noodle soup with the leftovers so we make this. It is a very cold day here and this soup looks amazing. I will have to try this recipe this weekend. This soup looks so amazing. It just got cold here again so this would be perfect! This soup would be perfect for my son right now. He is getting over having a terrible cold. 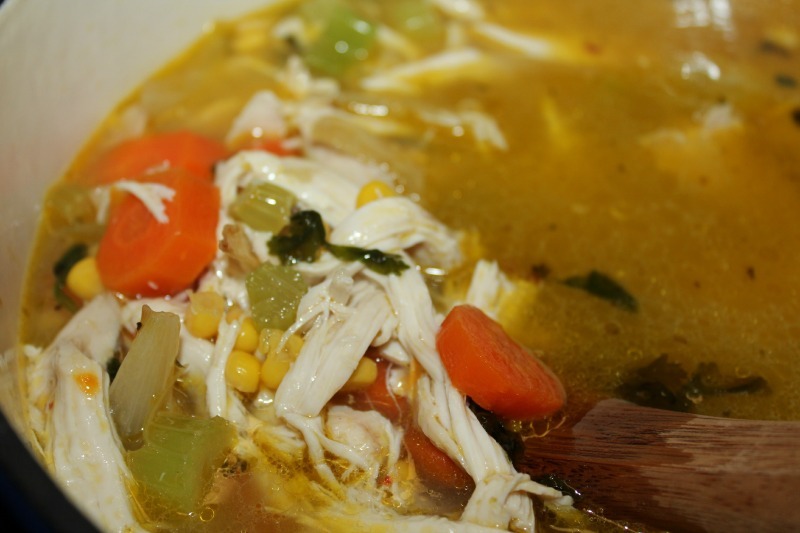 I love homemade chicken soup – I make it as often as I can. Adding fresh vegetables makes it a meal. Add a nice roll and that’s all you need. Yum! I was planning on making chicken noodle tomorrow. Looks like my plans have changed! Will be doing this instead! Looks so yummy. I usually try Chicken soup with Garlic & Onions, but this one is absolutely awesome with so much of fresh vegetables as well. The recipe looks very easy to prepare too. Thanks for sharing. Yum! This sounds perfect for a cold winter day. Yum this looks so amazing! I have been all about soups lately so this would be a perfect one to try! Looks full of such goodness! This looks so good and perfect for the cold weather we are having at the moment.will have to give this a try. This is a perfect cold winter night dinner! Healthy and delicious, too! I’m so cold and could use a bowl of that delicious looking soup right now! I never thought about putting corn in my chicken soup but I like the idea. Probably boosts the flavor profile. A great recipe for those cold winter months. And I’ve never seen meat claws, what a cool idea! Those claws are amazing but can be a dangerous weapon! They work so well. This looks just as good as it did the first time I saw it! Thanks so much for joining us at the #HomeMattersParty – we hope to see you again next week! This looks so delicious right now and easy to make! I’ve seriously had chicken noodle soup twice this week! Thanks for sharing the recipe! I’ll eat any soup with chicken in it! Talk about southern comfort! Well…not the whiskey ,,,,but we can invite that too! This looks so much better than canned chicken soup. All of the vegetables look awesome and it’s so cool that you used a whole chicken! Chicken soup is the perfect winter meal. It is hearty and great for flus. Homemade soup is the best cold medicine! This looks perfect for the cold, grey weather we’re having lately. oohh YESS buddy!! I LOVE chicken soup. Homemade style too! Like literally, we’ve been eating this for the past two days at home. Big huge pot!! Thanks for sharing this!! Tips right on time!! Nothing like some healing Chicken soup! I haven’t made any in too long. I love chicken soup but I’ve never thought to put corn in it! Great addition! Yum Aimee! 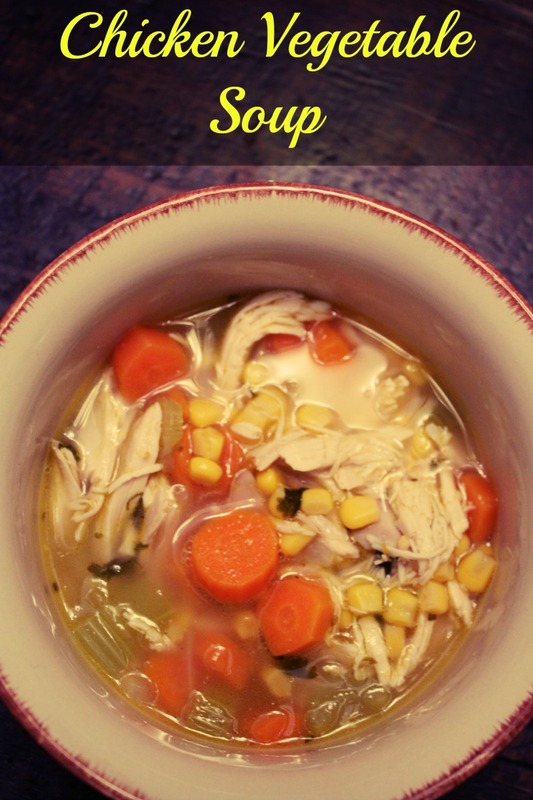 My girls love Chicken soup so I’ll need this recipe for sure. Thanks girl! Loving this and I would have never thought of adding cilantro, great idea. I’m in the mood for soup – will try this weekend I hear the cold weather is coming back. I love having a rotisserie on hand. It makes recipes like this so much easier! Mmmm, homemade chicken soup is the best. Especially on a cold winter day! this is so yummy Aimee!